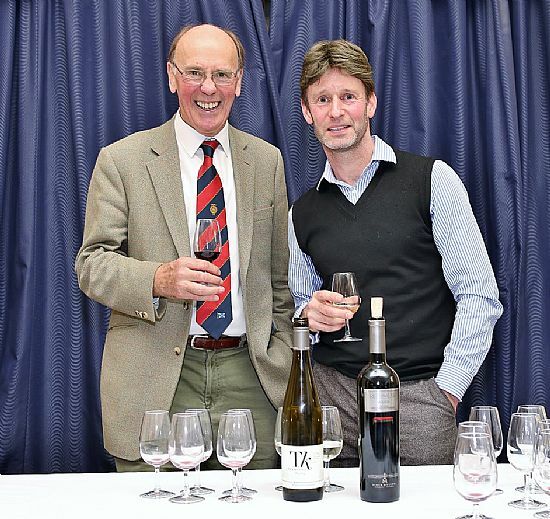 On Tuesday evening we were entertained to a talk by Mark Crawford, development manager at Exel Wines in Perth, and, of course, he brought along some samples; a very nice white and an equally pleasant red to go with the meal. Mark talked a little about past trends and public tastes and how they change. Modern perceptions are being promoted by TV personalities and their shows, especially cooking and health programs. And films too, as ‘Sideways’, a recent popular film, caused an increase in sales of Pinot Noir wines at the expense of the Merlot varieties. Riojas, especially from North Spain, are very popular as are New Zealand wines but Chardonnay wines have fallen out of favour. Sales of sparkling wines, both Spanish and French are increasing. But he had a word of warning for the future. It is likely that wines will be subject to tariff changes following Brexit. What will actually happen is not clear but there are unacceptable scenarios which have to be dismissed as impractical. Mark’s advice for the wine connoisseur - if you find a wine you like buy a lot for the future. Sound advice which John Cormack seconded as he gave thanks for all the work Mark had put into the evening.